‘Soft Play’, Self-love and Self-care – feel it, love it, live it! Most of the women I know are always busy. Busy working, looking after the family, busy doing things; endlessly doing for other people. Last night in our wonderful Women’s Circle, we talked about this busy-ness, and the – often conflicting – need to look after ourselves. It seems to be a fairly common theme, the fact that we take time to look after ourselves only if there is time left over after doing everything else and looking after everyone else. I introduced the idea of Soft Play, from the One of Many programme. This is a very simple idea, but one that often takes women by surprise. It is simply this: for one hour a week, plan to do something for you. Something fun – not routine; not work; not looking after yourself; not housework or family time. Not even having fun with others – as soon as you are with someone else you will naturally put energy into making sure they are okay, or listening to their stuff, rather than concentrating on fulfilling your own desires. For one hour a week, take yourself off alone to replenish, recharge, explore and even push yourself out of your comfort zone a little. It is about bringing more fun, adventure, courage, and joy into your life. By doing this, you replenish your energy and end up feeling better and doing better – not just for you, but for everyone around you. But we still feel this huge guilt around doing something for ourselves, something we might enjoy. It feels selfish, frivolous, indulgent even. Yet when we allow the feeling of loving ourselves and caring for ourselves in, it is very far from being selfish and self-indulgent. We all know it benefits us and the people we love; yet we still struggle to do it. So, last night we committed to holding each other accountable to take one hour a week to replenish ourselves. As is so often the case, a lot of people were stumped when trying to think of what they might actually enjoy doing for an hour. We fall so easily into that pattern of keeping going until we slump down exhausted at the end of the day. If I were to do something fun for an hour, what on earth would it be? We went round the circle starting to share possible ideas. Then, one of the women asked me what my plan was. I realised I have let my habit of Soft Play slip. I went through a period of being pretty good at committing to something in my diary every week, but then busy-ness seems to have crept in again. I have a confession: I cheated! Last night I asked my husband if he wanted to go for a bike ride with me this morning. It’s one of his days to take the kids to school, so I suggested I would come with him (they always cycle to school) then my husband and I could continue off around the hills. So, true Soft Play is a solitary activity but actually I do need time to connect with my husband as well. He is also always busy. We do have a great work life balance but we can easily fall into habits where we rush around from one thing to another. We rarely spend time together having fun on our own – we don’t go out in the evenings very often, we both enjoy being busy, we have lots of fun as a family, but it occurred to me that maybe we’re not modelling a healthy relationship to our children. I am pretty good at self-care. My kids know I go for a regular massage; I exercise because it makes me feel good, and I just went away to Morocco for 9 days! I do think it is important for our kids to see their parents having fun together as well though. Because it all boils down to the fact that our children learn what they see. If you are the sort of mum who never has time for self-care, never does anything for herself, talks negatively about herself, what are you teaching your kids about being a parent? They will learn that mums don’t deserve to have fun. That mums are at the bottom of the pile. Our sons and daughters will both learn those lessons, and internalise them – then act them out in their own relationships as adults. Where did we get this guilt from in the first place? For many of us our own parents modelled it to us from the start. Often, although not always, there is a gender difference in this idea of having fun and meeting your needs. Often, dads will automatically have their ‘thing’ – whether it is football, going down the pub with their mates, running, biking, climbing and so on. Our children see this being acted out, that it is somehow acceptable for dad to do these things but mums do it less often, or worry about it, or feel guilty much more. Is that a lesson you want your daughters to learn? Do you want your sons to think this is okay, just ‘the way things are’? So, when you commit to having fun you are actually modelling to your children that everyone in the family deserves to get their needs met, and have fun along the way. They will see you relaxing, enjoying life more, being happier. What better lesson could they learn from you? 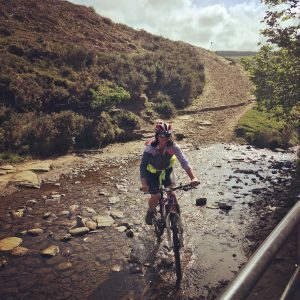 Back to my bike ride – I realised how important it is to model having fun with my husband. Before the kids, we had so much fun together. Now, we have loads of fun as a family. It is equally important that the kids see us nurturing our relationship as well. I want them to grow up to have happy, healthy relationships where everyone makes sure that they get their needs met. I want them to know that it is wonderful to get out there and just have fun! Now, here I am back home – relaxed, happy, ready to work so I can get out and play more this afternoon! What can you commit to this week to model healthy, happy living to your children? Next PostNext Ego, sit down and be quiet!